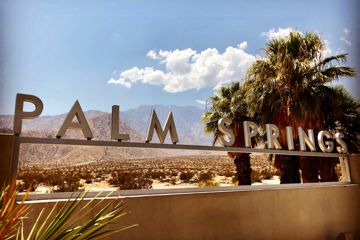 The name Palm Springs conjures ideas of Old Hollywood glamour, hill-ringed vistas, and leisurely days by clear blue swimming pools—and all of these can be found in this fashionable Southern California oasis, but beneath the expected lies the unexpected. To be dazzled by the local shopping scene, stroll the five-block Uptown Design District or pop into shopping street El Paseo’s high-end boutiques. 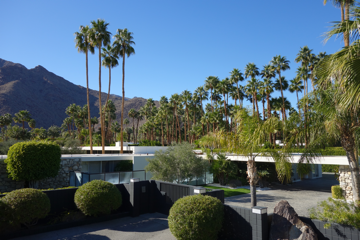 For an immersion in art and design, spend an afternoon at the Palm Springs Art Museum or sign up for a tour of groundbreaking midcentury architecture. Don’t forget to take breaks to indulge in the cafés, restaurants, and lounges that have put this glittering getaway on culinary and nightlife maps. 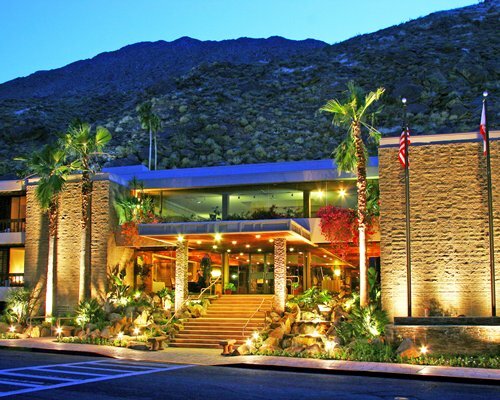 To get to know Palm Springs’ magnificent desert landscape, take in the views from the revolving Aerial Tramway on a ride up to Mount San Jacinto State Park, or explore the town’s surrounding hills on an invigorating hike. Kids will love the opportunity to feed giraffes and gape at oodles of other animals at the Living Desert Zoo and Gardens. 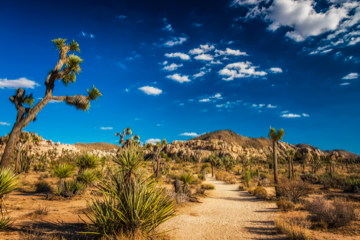 And past the quirky ’40s-era Pioneertown you’ll find the otherwordly Joshua Tree National Park. Visitors come here for its astounding horticultural and geological wonders, and at night, under the right conditions, parkgoers can gaze at the swirling Milky Way and an endless tableau of stars. Sleek steel-and-glass buildings designed by star architects of the '50s and '60s resemble exotic cacti. Few places can claim postwar tract houses as a major tourist attraction. Palm Springs can. Spring is the ideal time to explore, when seasonal rivers tumble through rocky washes, unlikely blooms sprout from sandy soils and the desert warmth feels welcoming, not withering. If any one person can be held responsible for Palm Springs’ transformation into a mid-century modern furniture mecca, it’s Courtney Newman. Newman turned his hobby of collecting vintage pieces at estate sales into a profession when he moved from Los Angeles, in 1999, to open Modern Way. At that time, shops catered mostly to the tourist set, carrying car T-shirts and bikinis. Today his store is in the heart of the Uptown Design District, a 5-block stretch of North Palm Canyon Drive that draws collectors from around the world. "Fabulous apartments and bungalows in lush surroundings." "The view from the balcony was sensational!" 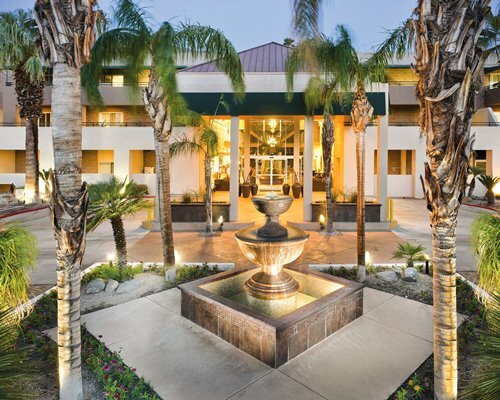 "Very clean, newly remodeled units. Friendly staff."